There is a belief in some circles that a Federal Ireland is not a united Ireland, it is necessary to point out that a Country can be united through a unitary or Federal state, a lot of people believe united means unitary however there are many “united” countries in existence that are Federal in structure such as Switzerland or the USA. Criticism has also been made of a four Province Federation, such criticisms have included that it is administratively cumbersome, that Ireland is too small a country to have four assemblies, this to me is an unfounded criticism, Ireland is historically divided among provincial lines, it would enhance Irish democracy, the more power closer to the people the better, this also allows for better accountability and less chance of corruption going unchecked. It would also ensure that there is a just distribution of wealth and power throughout the country and ensure that no one group of people could dominate the other. The key element of any proposal is that it is not written in stone, the Federal concept is no different. It is open for all the people of Ireland to have their say on how it would work. Republicans have not been the only people to propose a Federal solution for Ireland, we have had many proposals in the past, from Fine Gael who had a new Ireland Forum where they proposed a two state Federal solution to Desmond Boal, founding chairman of the DUP who suggested a Federal Ireland retaining “Northern Ireland” as a Federal state. From a policy perspective Republicans who advocate Federalism have generally thrown their weight behind Éire Nua. 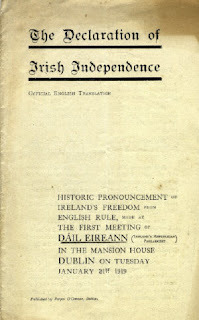 Éire Nua was first launched as the policy of Sinn Féin in 1971. Éire Nua is a detailed proposal on how a New Ireland post-British withdrawal could work along Federal structures. Advocating a four state Federal government with a central Government (Dáil Eireann), it is generally seen as the definitive Republican Federal position. In 1982 the Sinn Féin Ard Fheis rejected Eire nua in favour of a Unitary State, formally removing it from the constitution in 1983.Those responsible saw it as a Sop to Unionism, laughable considering that same personnel is today Power sharing with Unionists in Stormont. After the Sinn Féin Split in 1986 around abstentionism in was re-adopted by Sinn Féin Poblachtach (Republican Sinn Féin) and is today their current policy. 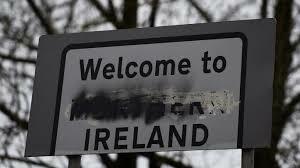 With Brexit looming and it set to affect everyone in Ireland people are scrambling to look at political solutions, the idea of an independent Ireland is starting to sink into the Unionist people as a reality of the future. I believe that as Republicans, that we as the people wanting to change the status quo and create a New Ireland it is incumbent on us to create the solution. 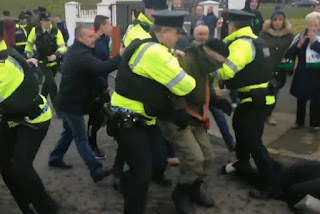 We need to unify around a proposal for Ireland that can be acceptable to the vast majority of the Irish nation and this, of course, includes those who currently subscribe to British Unionism while not losing sight of our Republican Principles either. We live in a diverse society, I believe that a Federal Ireland acknowledges and caters for the diversity of our society. The concept of a Federal Ireland is little known. When I bring up the subject a lot of people had never even thought of this idea as a solution. I am not saying that any one idea out there today is the answer, that Federalism is some kind of magic formula to solve all our woes. What I am saying is that it is an answer and at the very least we should be discussing it. I would like to see the day that every person in Ireland at least understood the concept at a basic level. This Blog piece does not go into the nitty gritty of what would be involved, that would be a much longer piece, but I hope it at least serves as a catalyst for discussion. I agree with everything you have written, Cáit. The 4 province Federal solution should be promoted by Republicans now to prevent a greater Free State with the 6 Counties being tacked on as a semi-independent province becoming ingrained as the only possible united Ireland. The decentralisation that comes with Federalism should be embraced. I would support community councils, direct democracy at local level, petitions to force referenda etc. These things would help not only the running of the state but assist with the empowerment of the people which leads to a greater quality of life for citizens. Isn't that what Republicans and socialists want after all?